Gurmit Singh, who rose to fame acting as contractor named Phua Chu Kang, will end his full-time contract with Singapore’s MediaCorp to spend more time with his family. The break comes after a 20-year successful career. 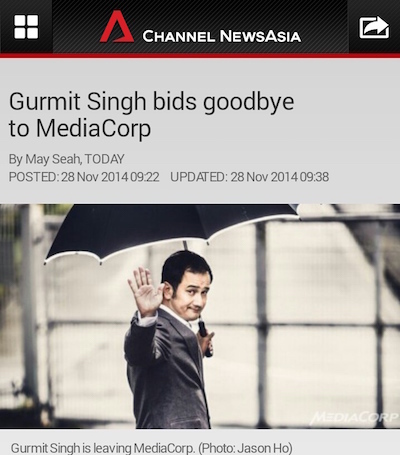 Gurmit, however, is not quitting acting altogether. Years after the sitcom went off the air, Gurmit is still known as Phua Chu Kang, a testimony to the huge success of the series, popular both in Singapore and Malaysia. Channel News Asia has the story here.